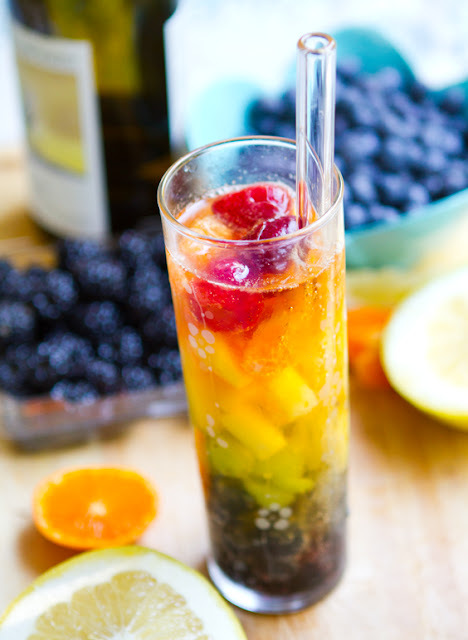 Rainbow Sangria, by the glass. And more! Four awesome things in this post. 1. 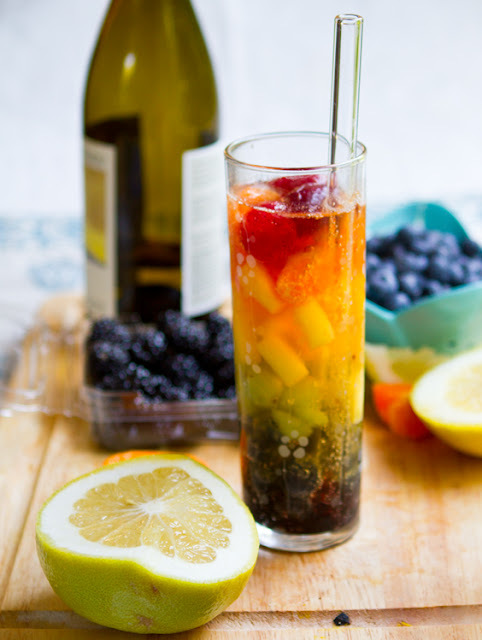 Recipe for my fun and fabulous Rainbow Sangria by-the-glass. 2. 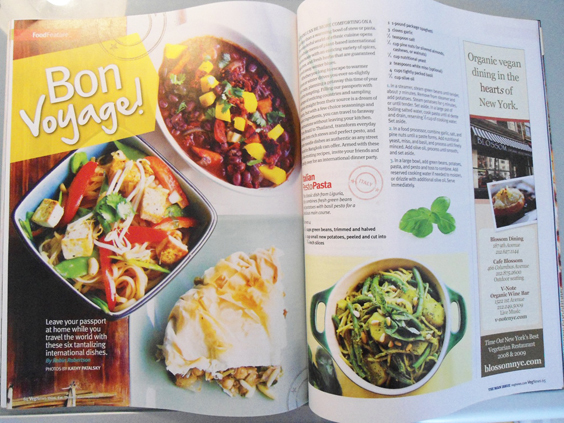 A sneak peek at my photos in the upcoming March+April issue of VegNews Magazine. 3. NYC Vegetarian Food Festival VIP Tickets/Raffle Giveaway. 4. My Photo Portfolio updated. Fun Friday post headed your way!.. 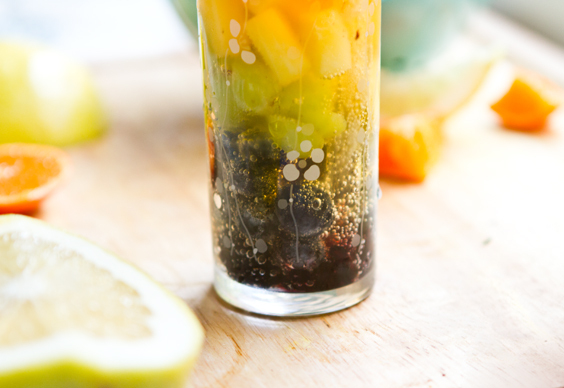 To Make: Add the fruit in rainbow order to a tall glass. 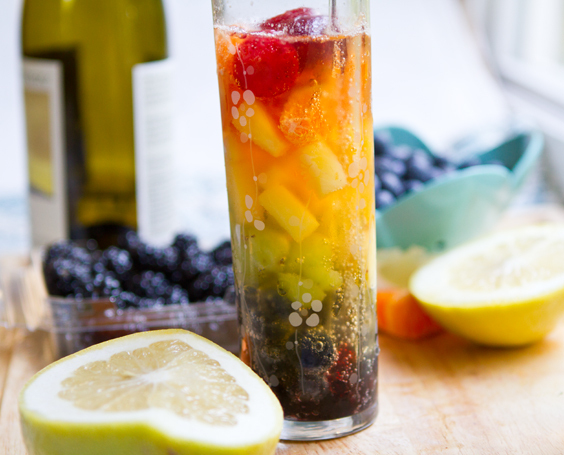 Then pour in the wine and fruit juice. Top it off with the ginger ale. 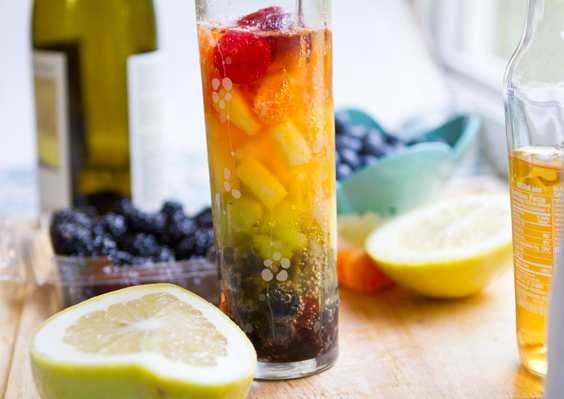 Add the brandy over top as well if using. Virgin-ize it! 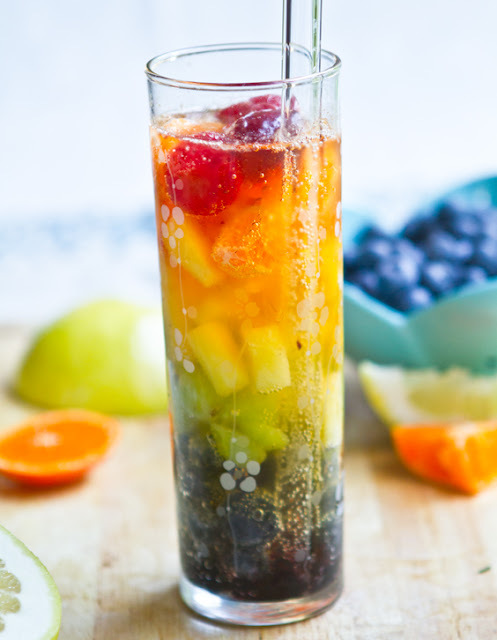 You can use these same rainbow fruits for lemonade, iced tea, fruit spritzers and even fizzy spa water. 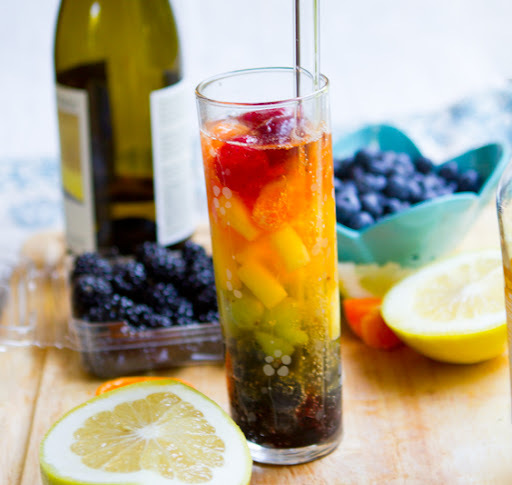 Agua Frescas too. 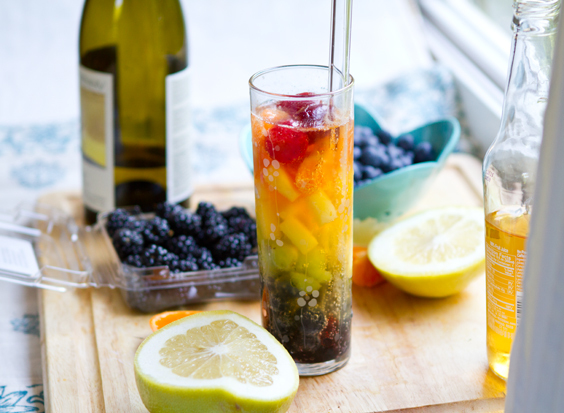 Lastly, I'm super excited that my photography will be featured in the upcoming March+April issue of VegNews. I prepared and shot photos of recipes (exclusive for this issue of VegNews) by Robin Robertson - author of the vegan cookbook Global Vegan Kitchen. And let me just say that these recipes all tasted AMAZING. So be sure to snag an issue of VegNews to make them! vacation from belamivoyages.com ($6000 value)! * tweet this post and include @replies as shown: " I just entered the @NYCvegFoodFest Giveaway hosted by @Lunchboxbunch - enter here: http://bit.ly/wRmxoS "
I'm excited that I've finally updated my online photography portfolio. Take a look. Click the little floating arrows to enlarge the photos. And if you have an photo projects or leads for me please send them my way. I love doing freelance photo projects. That's it! Have a wonderful weekend everyone. Grab my vegan Valentine's Day tasting menu recipes here. 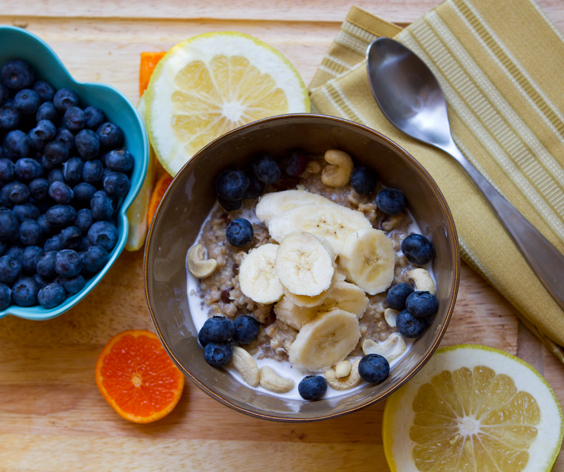 Hope you all sleep in and have a lazy vegan brunch .. maybe some steel cut oats, chai tea and fresh fruit? Enjoy!..